It seems as though Oprah Winfrey may be having second thoughts about whether or not she could really become president. Well, you know, since you don’t need political experience anymore. 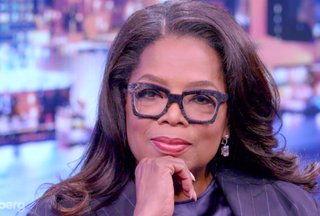 In an interview with financier and philanthropist David Rubenstein, Winfrey said it now does seem like something she could do. Rubenstein mentioned the fact that the glass ceiling for women hasn’t been broken yet when it comes to the presidency, and then asked if she was now reconsidering. “I never considered the question—even a possibility,” Winfrey said. “It’s clear you don’t need government experience to be elected president,” Rubenstein replied. Yes, Ms. Winfrey, we’re all thinking “Oh.” Because it’s apparent that now anything goes in politics.